Hello studiostyleblog and welcome to the Community. There are several way to device a rod for hanging curtains but before we get to involved it is important to take several factors into consideration. First, you must contact your buildings management and check to see if they will allow something like this to be installed. Secondly, safety is the number 1 consideration. If you put something up and any part of it falls it could easily hurt someone. Third, wind is a major factor. The curtains will have to have a way for the wind to pass through. 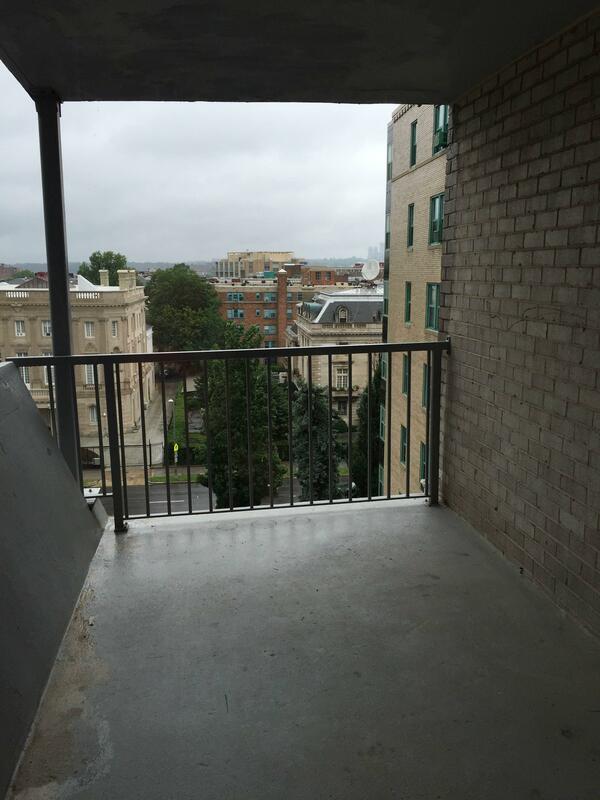 Have you considered a privacy screen that could stand on the deck of your balcony instead or something like that? If you find out the parameters allowed by your building, I would be happy to give some suggestions. Please keep in touch and let me know what you discover. You will have to do a little assembly and ask for some help at your local Home Depot. What a fabulous space you have!!! 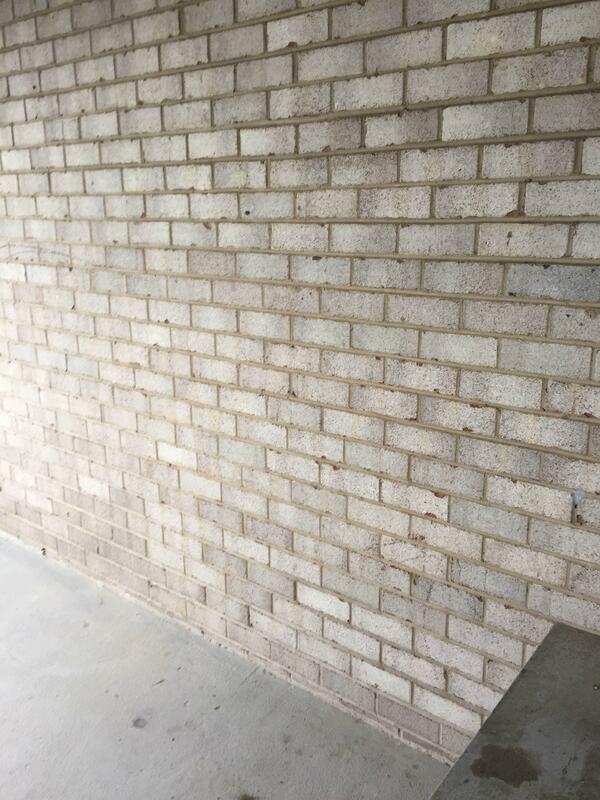 Beautiful white washed bricks, and clean lines, I totally understand wanting to create a privacy screen. I am sure that is a sanctuary for you, outside space is so precious when you live in the city. I am not an artist but I have put a few components together to create an image of what I see in my mind that will enable you to add a soft, sheer curtain to you outdoor living space. I think that galvanized pipe will be strongest to stay upright, secure and weatherproof, because I am sure that the wind may be strong at times at your elevation. 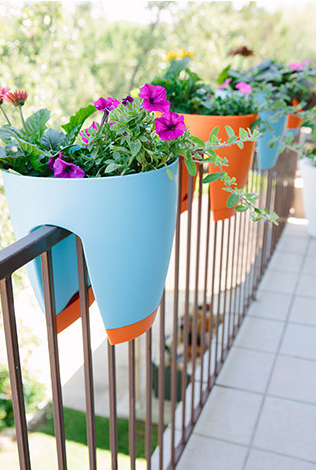 This can be replicated in PVC, but I don’t think it would not be strong enough with the wind. Check out this concept and see if you think this application could work, or inspire you in some way. Get your measurements, stop by the Home Depot plumbing aisle and speak with an associate that will help you with the fittings and floor flange; you can have the wood cut in-store too. 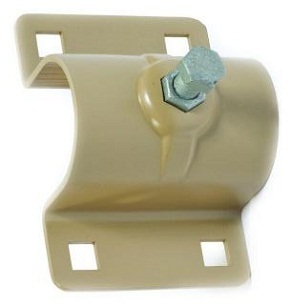 Basically this concept, but instead of going into the wall, turn the elbow down, extend a pipe to the floor flange and attach it to the wood footing. Use heavy duty zip ties, or hose clamps and secure to existing iron rail, it is great that you have that stabilized railing to work with. 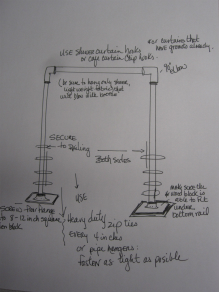 I hope this helps, or gives you an idea on just how to make the curtain concept flow! You could also use a reed fence in same manner. Please let us know what you decided to do, your before pictures were great please show us the after. Thank you! 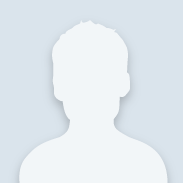 Building management is ok with installation, I already checked, please let me know what you'd recommend! Thank you! Building management is ok with installation, I already checked, please let me know what you&#39;d recommend! Thanks Maureen! That is so thorough and helpful! I will definitely be posting the 'after' photos incorporating a couple solutions. Thanks Maureen! That is so thorough and helpful! I will definitely be posting the &#39;after&#39; photos incorporating a couple solutions. 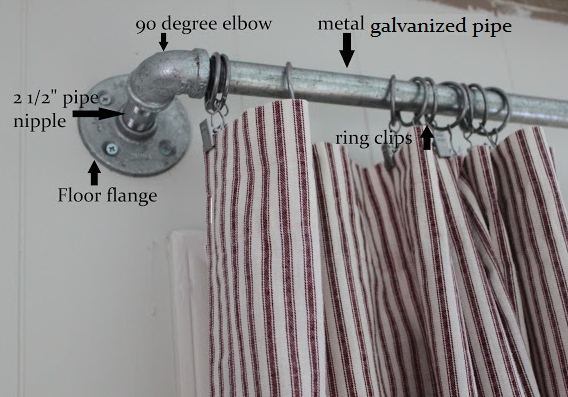 I would like to add to Maureen's galvanized pipe Idea. 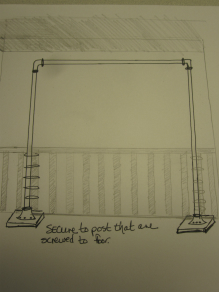 or directly to the pole and the wall using the same type of screws the railing are mounted with. What a great space ... overlooking the cityscape! I'll bet the view improves at night. The stand that Maureen suggested is very functional, but I'm thinking "Hidden Hangers;" curtain hangers anchored to the concrete ceiling ... out of site. If I were your designer, I'd use standard pipe sleeves mounted on the concrete ceiling adjacent to the wall and the pole, and another halfway between these two. I'd anchor them to the concrete ceiling with Simpson Strong Tie Drop In Anchors. Position the standard pipe sleeve on the ceiling and use a marker to locate where you'll drill pilot holes for your drop in anchors. 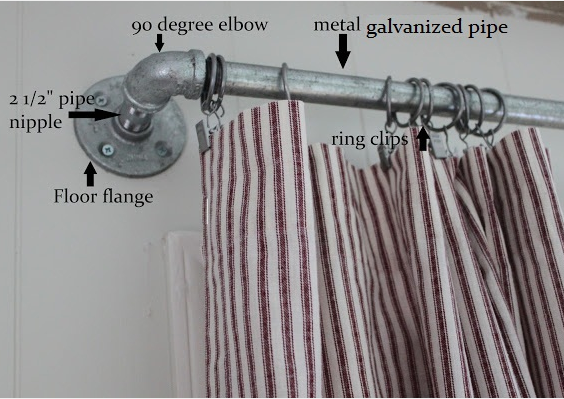 Use two ten-foot zinc coated one-inch EMT conduit as your curtain rods. Shorten each to approx. 75-inches to reach from the mid-point hanger to the hanger on either end (near the wall and near the pole). Then use your veil of choice and sew a two-inch loop to slide over the conduit. You could bunch up one longer veil; however I believe several bunched veils hung over each 75-inch rod will create a stronger visual effect. 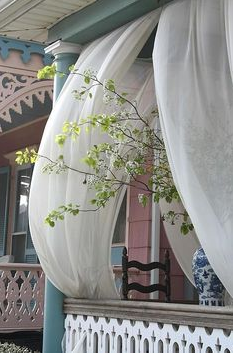 I'm imagining white billowing veils, pushed and pulled by the breeze ... very striking and very functional. Now that we've designed "Hidden Hangers" to glam your privacy curtains, you simply must come back and post photos once they're hung. Thanks for bringing your creative question to The Community! Thanks, Pat and Char! 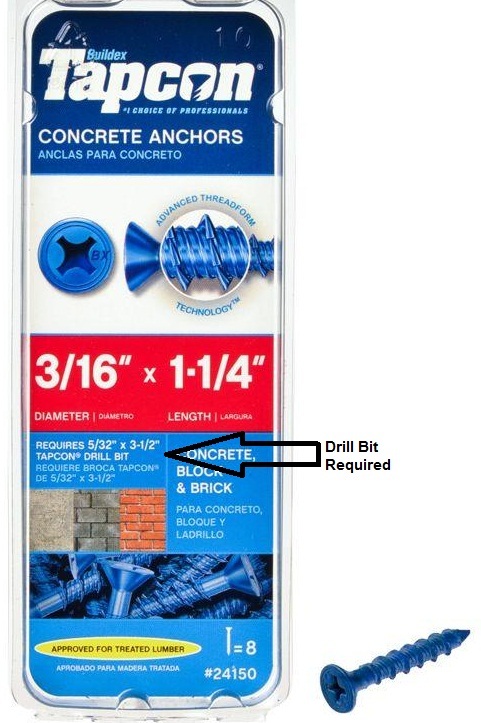 For drilling into the concrete with the tapcon anchors, what particular drill and bit would you suggest using? I have a very small one for home decor projects but I assume it won't be powerful enough to drill into the concrete ceiling. Thanks, Pat and Char! 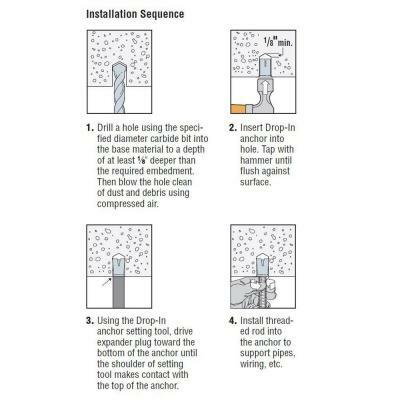 For drilling into the concrete with the tapcon anchors, what particular drill and bit would you suggest using? I have a very small one for home decor projects but I assume it won&#39;t be powerful enough to drill into the concrete ceiling. An 18-volt or 24-volt cordless drill or a corded drill will be perfect for this install. Under "Specifications" Simpson recommends a 1/2-inch masonry drill bit for their 3/8-inch Drop In Anchor. Personally, I prefer the Simpson anchor over Tapcon because it embeds completely into the concrete and maintains the "Hidden Hanger" design ... very little exposed above the surface. Wrap electrical tape around the bit, leaving the tip exposed to the depth you need to drill. When the tape touches concrete, you're done with that hole. 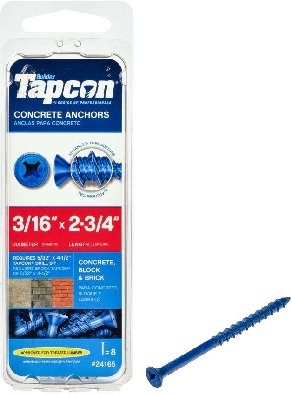 Tapcon anchors require drilling a deeper hole and have a blue coating. Tapcon makes their own drill bits; on the face of the package they specify the size (see black arrow). It is so exciting to have so many HD experts “pipe” in on your project! 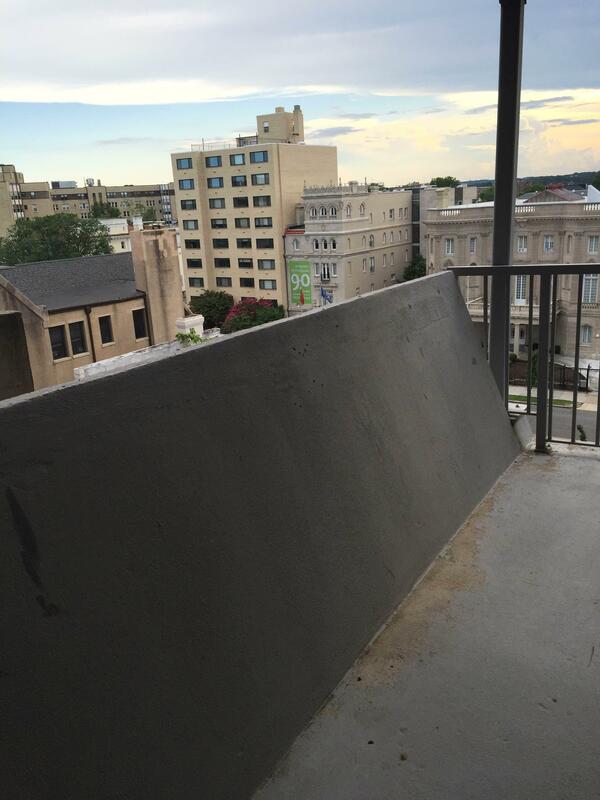 I am so glad that you got clearance from the building super for the installation. Char and Pat have given you direct, into the structure, suggestions that totally simplify matters, and will end up with beautiful, billowing results. I am fearful of heights; that is why I came up with a floor to ceiling suggestion. Be super careful and make sure you have someone to help during the installation, no matter what you decide, like Char said: Safety First! 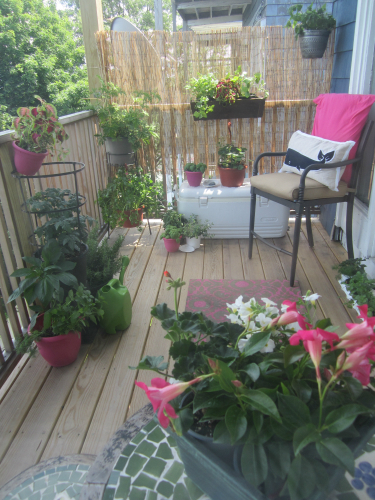 I have to put a garden suggestion in though, that great railing is calling for some beautiful plants and flowers, once you are all set with your curtains, bring out some patio plants, and planter for the railings! How about some string lights or solar powered lights for your planters? My goodness, you have such great possibilities! I cannot wait to see the after images, a night time shot would be lovely too…..What city are you in? What an outstanding addition to StudioStyleBlog's thread! 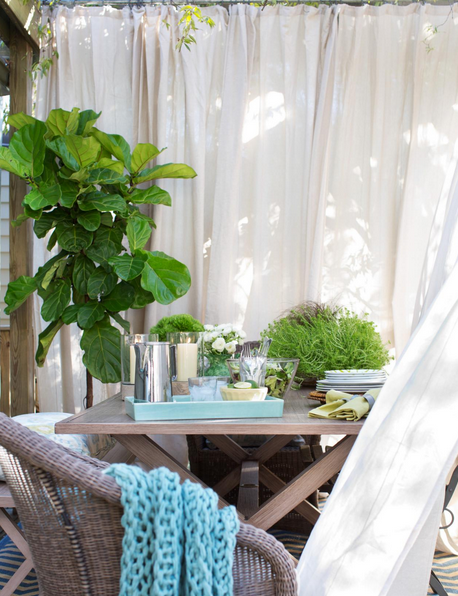 Billowing curtains add layers, outdoor lights add accent, and planters bring on the green ... a private oasis with personalized touches that really make you want to spend time out there. Leave it to Char and Maureen to fill your world with outstanding, attainable, and safe improvements to your private cityscape overlook. Rarely will you hear me say it; however, "I'm just a bit jealous of your space StudioStyleBlog." You really must publish photos as you progress! I can see the Lithuanian flag in front of what appears to be an official building. Lithuania's embassy is in Washington, D.C.; Consulate in New York and Chicago ... in the U.S. I'm guessing the city is Chicago.